Megastar Amitabh Bachchan, who is currently shooting for his upcoming film "102 Not Out", says sleeping on a film's set is a gifted moment in the script for an actor. "Sleep -- that mechanism that has been a constant in us all... like taking in the air to breathe and survive... And the opportunity of catching up with its loss, on set is a gifted moment in the script, rare but so welcome," Amitabh wrote on his blog on Monday night. Amitabh also shared a photograph of himself from a film's set, where he was seen taking a nap. 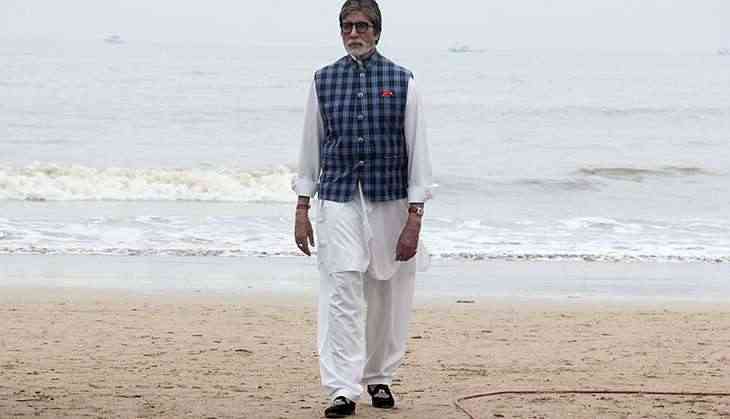 The 74-year-old actor is seen wearing a white kurta pyjama, socks and a monkey cap in the image. The "Piku" actor said that with the lighting on the set, one actually goes off to sleep. "One actually goes to sleep, while the lighting and the action and the scene are being conducted... Such a delight. And my sleep was genuine, they actually had to come and wake me up to tell me that it was over," he added. The 74-year-old will be seen sharing screen space with veteran actor Rishi Kapoor in "102 Not Out". The two will be working together after over two decades. Amitabh will also be seen in "Thugs of Hindostan", which also stars Aamir Khan, Katrina Kaif and "Dangal" fame Fatima Sana Sheikh. The film is directed by Vijay Krishna Acharya.